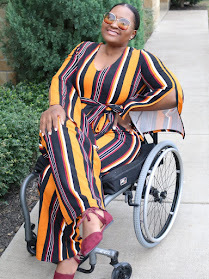 This DIY Lady is here today with another post. 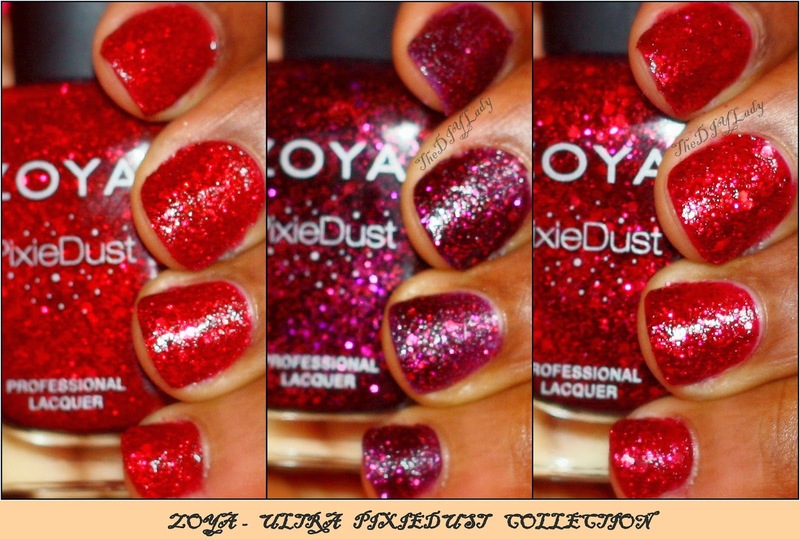 This time I'm gonna be sharing my swatches of Zoya's Ultra PixieDust Collection for Fall 2014. This is a gorgeous red textured polish that is beautiful and dries to a matte finish. Anyone who knows me know that I'm a purple Lover! Anything purple and I'm In Love! This purple is everything and then some. The glitters in it shine through and it glistens in different lights. This confused me because it somehow looks like Oswin. BUT, I finally saw through it and realized it had more of a pink undertone, and is not as red as Oswin. I love the Zoya PixieDust Polishes and these ones certainly didn't disappoint. Do you have these or are you thinking about getting them? Share your thoughts with me darlings. Noir is my favorite of these shades- such a pretty purple!